Motorola, now a Lenovo company, has a new phone available today that we talked a lot about on Tuesday. 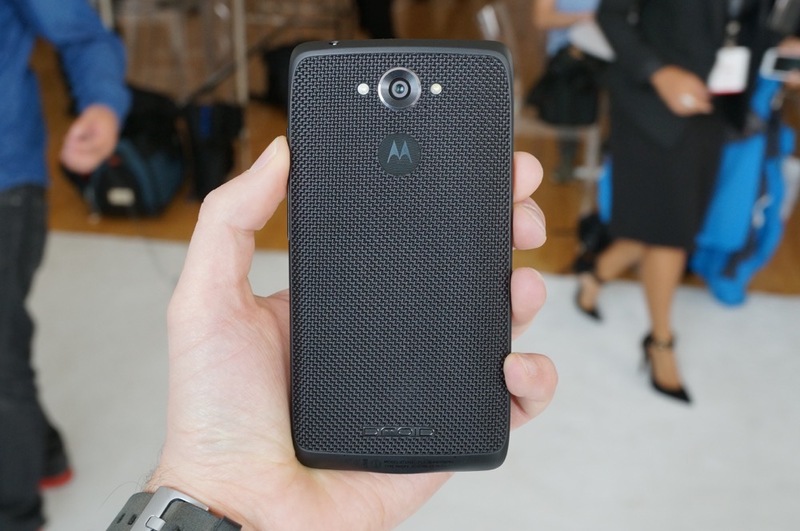 Yep, we are referencing the DROID Turbo, a DROID device that is deserving of the name. The new DROID Turbo can be purchased for $199 or 2-year contract with 32GB of storage in Metallic Red, Metallic Black, or Black Ballistic Nylon. If you want to double the storage to 64GB, you can have that with the Black Ballistic Nylon for $249 on 2-year contract. If you are looking at the full retail route, the 32GB and 64GB versions run $599 and $649, respectively. As you are well aware, the Turbo packs the best specs you can find in a smartphone at this time. We are looking at a 5.2-inch QHD display, Snapdragon 805 processor, 3GB RAM, 3,900mAh battery, 21MP camera, and mostly stock Android 4.4.4 (full specs). This phone is a powerful phone, there is no denying that. But is it the next phone for you? We are still testing our review unit to help figure that out. Until we get to a full review, be sure to check out our unboxing below, along with our video comparison of the DROID Turbo to the DROID MAXX and new Moto X. We also ran a comparison chart that shows Motorola’s entire line-up for 2014.